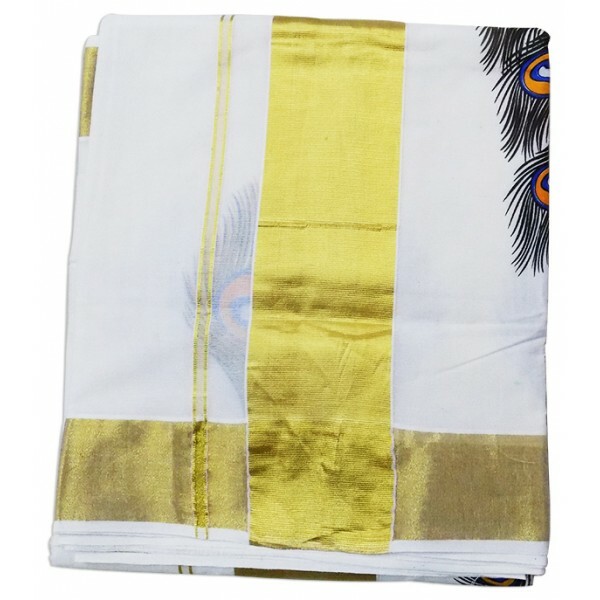 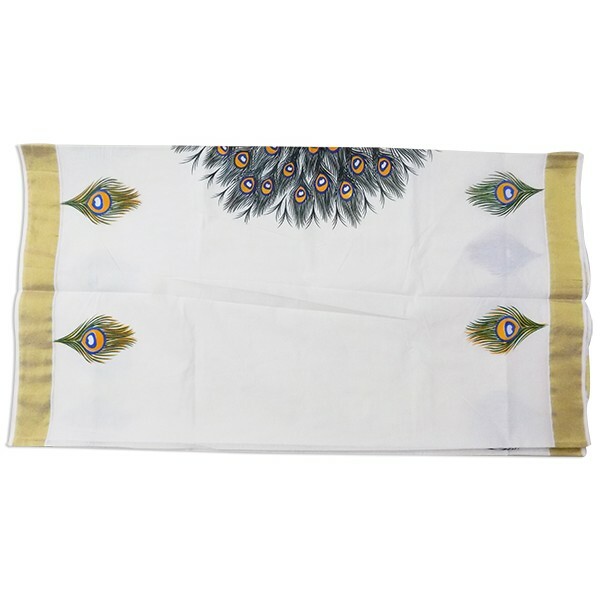 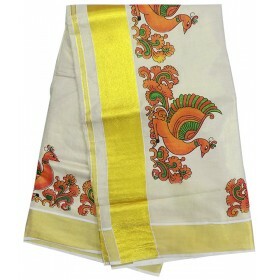 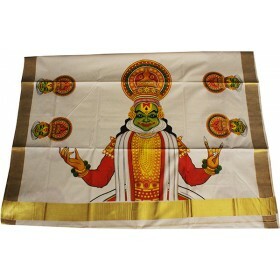 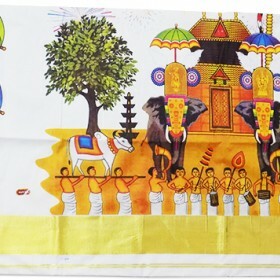 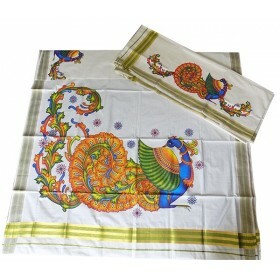 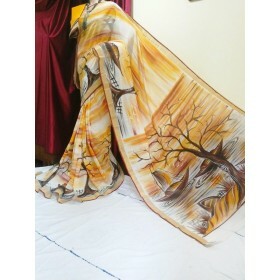 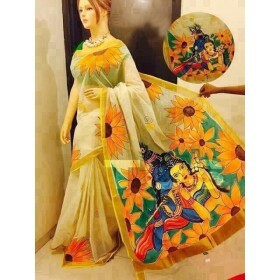 Kerala kasavu saree with Mural Printing dancing peacock to enrich the beauty of you in all occasions.it is off white colour with mural dancing peacock design on its pallu. 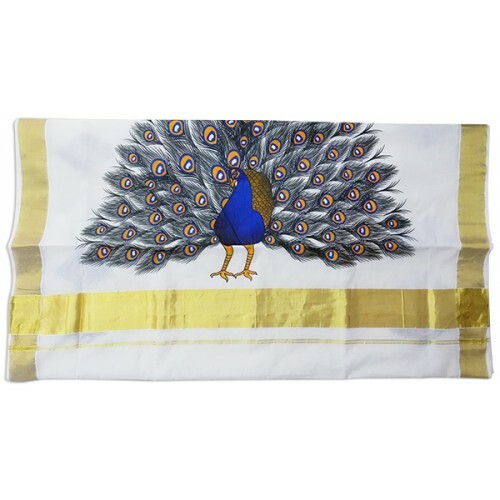 Along with pallu on the border single mayil peeli (peacock petal) mural design and it have thick golden border. 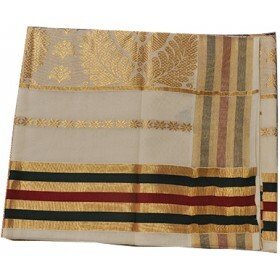 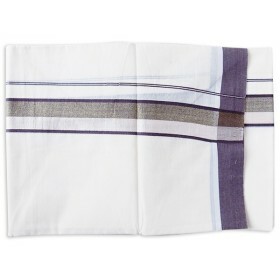 On the both sides 2 inches of golden border are available. 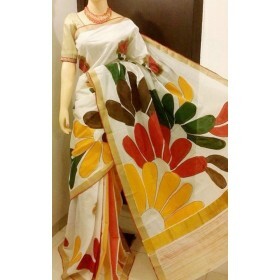 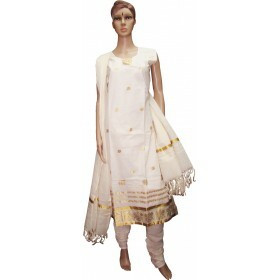 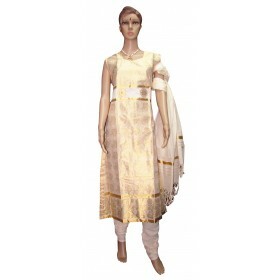 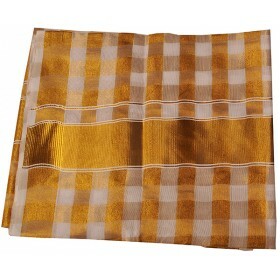 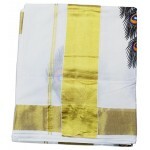 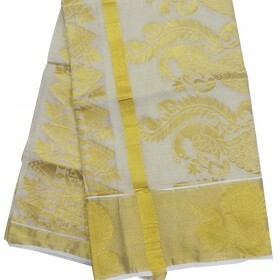 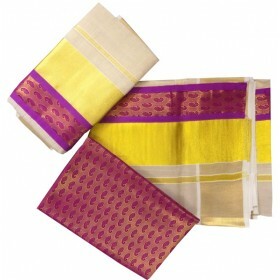 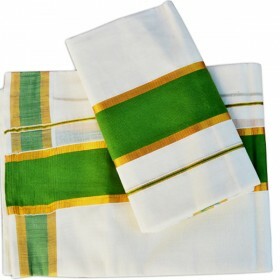 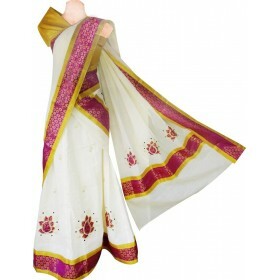 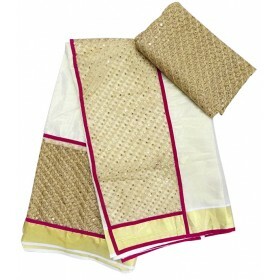 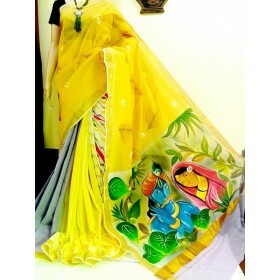 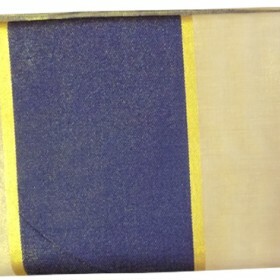 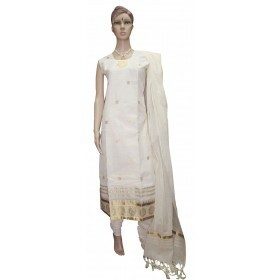 You can get this elegant saree with affordable price .matching blouse comes along.